A damning new documentary said to prove that Michael Jackson was a sexual predator of young boys gets its world premiere on Friday. The four-hour film Leaving Neverland previews under unprecedented levels of security at the Sundance Film Festival. It is said to document how James Safechuck, from the age of ten, and seven-year-old Wade Robson, were befriended and eventually sexually assaulted by the singer, who died aged 50 in 2009. The film, which I will be viewing at the first public screening at the Egyptian Theatre in Park City, Utah, features detailed corroborative evidence — definitive, apparently, and gathered by film-maker Dan Reed and his researchers — that the so-called King Of Pop performed unspeakable acts on the two boys. 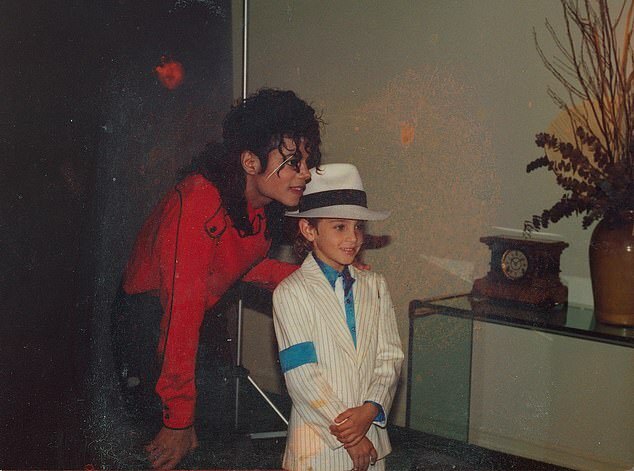 The film festival, in its programme, said Leaving Neverland has “gut-wrenching” interviews with Safechuck and Wade (now adults) and their families, and that the picture documents ‘the power of celebrity that allowed a revered figure to infiltrate’ the lives of the two boys, the Daily Mail reports. Jackson’s estate has denied all the allegations, though they have not yet been shown Leaving Neverland. Safechuck and Wade will be at today’s screening, as will representatives from Channel 4 and HBO, who produced the film. Leaving Neverland will be broadcast on C4 this winter. A Broadway-bound musical backed by the Michael Jackson Estate, Don’t Stop ’Til You Get Enough, about the singer, scrambled to announce itself on Wednesday ahead of the Sundance screening. It will open in Chicago in October and head to Broadway on December 1.